Note this image above, the top portion of the hood has clearly been Photoshopped (holo transmission lines do not line up) to throw speculators off track. 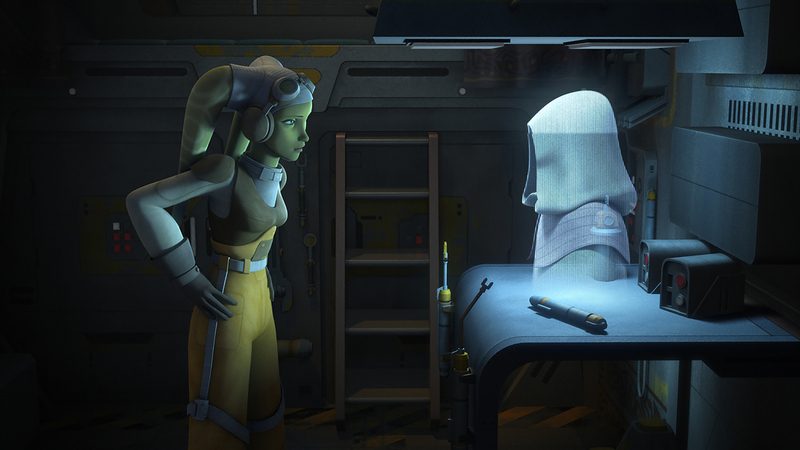 It’s pretty safe to say that the identity of “Fulcrum” is in fact Ahsoka Tano. I’m guessing that is how we will see a classic character’s return in Star Wars Rebels which Rebel’s Report further helped confirm. Follow those links if you want to know who Fulcrum is. Don’t if you want to find out in Rebels Resolve in early March.